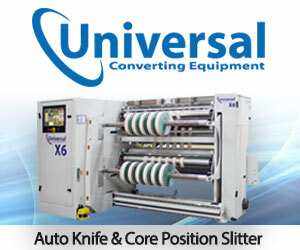 Brand: Andreotti Slitter and Rewinder, Overhauled to be sold with 6 months warranty from the time of relocation ! Manufacturer : Andreotti, Italy Model : TLTC/600 Manufactured : 1999 Overhauled : December, 2016 Material to be handled - Cellophane from 25 gsm - Polyethylene from 15 micron - Polyester from 12 micron - Paper from 20 gsm Up to 150 gsm - Laminates up to max. 150 gsm Technical data Width : 1500 mm Max. Jumbo roll dia : 1200 mm Cutting width with Max. Reel diameter 500 mm With single standard reel holders : Min. 70 mm / Max. 210 mm With single special reel holders : Min. 55 mm / Max.120 mm Cutting width with Max. Reel diameter 600 mm With double reel arm holding system : Min. Width 220 mm / Max. 600 mm - The machine or equipment is offered with six (6) months warranty from the test run at the location. - Availability is subject to prior sales. - All information is given by the source, which deemed reliable.